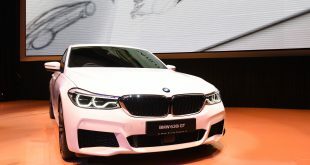 BMW Group Malaysia today redefined the idea of modern luxury in the premium automotive segment with the introduction of the all-new BMW 7 Series. Now in its sixth generation, the all-new BMW 7 Series represents what an exclusive, luxurious driving experience in a contemporary and pioneering sedan truly is. With close to 40 years of success and innovation leadership in the premium segment, the all-new BMW 7 Series once again makes a groundbreaking leap in technology, dynamism and luxury. The luxury limousine from BMW embodies the contemporary yet also future-focused interpretation of exclusive driving pleasure coupled with its prestigious appearance, finest luxury interior and excellent new ground in intuitive operation and intelligent connectivity. 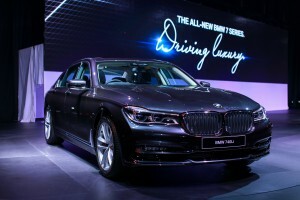 The all-new BMW 7 Series is now the most advanced luxury sedan in its segment. 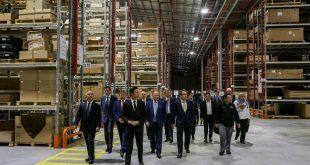 Han added that BMW Group Malaysia’s celebrations will be across all its multiple touchpoints in the country and the premium automaker is looking forward to celebrating the occasion with customers and fans of the brand. “As a leading premium automotive brand in the country, our aim has always been to create value for our customers and fans here. 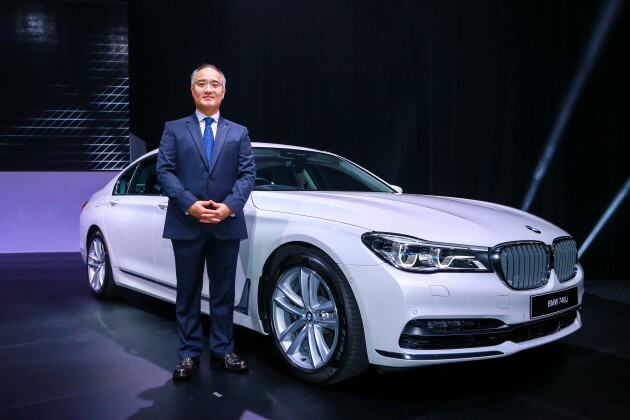 With this objective in mind, we are kickstarting our celebrations this year by introducing our first car for the year 2016, the all-new BMW 7 Series with a special 100th Year Anniversary Celebrations pricing which is only limited to the cars registered within the year.” said Han. Introduced in two variants of the all-new BMW 740Li and the all-new BMW 730Li, the all-new BMW 7 Series offers luxury comfort combined with the most dynamic driving characteristics, the most sophisticated equipment, the most pleasant ambience, and benefits from a highly advanced and unique driving dynamics system which makes driving not only safer, but more pleasurable than ever before. These are encapsulated in by far the lowest vehicle weight resulting in the lowest fuel consumption and C02 emission figures. The design of the all-new BMW 7 Series provides an authentic showcase for a modern interpretation of luxury. The technological progress and myriad innovations which mark out both the driving experience and comfort of the all-new BMW 7 Series are reflected in a design that is emotionally powerful. Compared to its predecessor, the all-new BMW 7 Series has grown to 5,238 millimetres over the previous generation 5,219 mm (+ 19mm) while other dimensions including the width, height and wheelbase remain essentially the same. This makes the all-new BMW 7 Series the largest series-produced car BMW has ever built. Its prestigious and dynamic appearance also displays hallmark BMW proportions, headlined by a long bonnet, short front overhang, long wheelbase, set-back passenger compartment and a smoothly downward-sloping roofline. The all-new BMW 7 Series with the clear structure and upright stance of its front-end radiates a sense of assured presence. 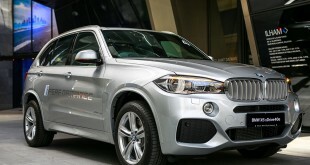 It is also BMW’s first car to make BMW EfficientDynamics visible. The Active Air Stream kidney grille featured at the front of the new luxury sedan is a visible air flap control which only opens when there is an increased cooling air requirement and will remain closed the rest of the time. This improves aerodynamics as well as gives the front end an even more eye-catching look due to the visibly increased number of bars in the large BMW kidney grille. The new headlight units with a cut-off top edge and a flattened lower edge meanwhile extend up as far as the grille, while the familiar full-LED BMW twin circular headlights on the all-new BMW 730Li is levelled off at its upper and lower edges, giving the car a purposeful and focused look. Adding to the many firsts in the luxury segment is also the BMW Laser headlights, which can be identified by a central blue-tinted horizontal bar. Fitted on the all-new BMW 740Li, the BMW Laser headlights has a range of 600 metres in high-beam mode – twice the range of LED headlights. Further underlining the eye-catching and exclusive appearance of the all-new BMW 740Li are 19-inch Double-Spoke light alloy wheels and 19-inch V-Spoke light alloy wheels for the all-new BMW 730Li. The advances achieved with the all-new BMW 7 Series succeed in resolving a number of traditionally conflicting aims: the car comes with new innovations but weighs less, performance is more dynamic but fuel consumption has been reduced, and while it is more luxurious than ever, emissions are lower. The all-new BMW 740Li performs with commanding power, silky smooth running and a stirring sound with the latest-generation BMW TwinPower Turbo inline 6-cylinder 3-litre petrol engine from the BMW EfficientDynamics engine range. Mated with an equally optimised eight-speed Steptronic transmission, it generates a maximum output of 326 hp, torque of 450 Nm and accelerates from 0 to 100 km/h in just 5.5 seconds. The average fuel consumption of the all-new BMW 740Li stands at 6.6 litres per 100 km with C02 emissions of 154 grams per kilometre. The all-new BMW 730Li meanwhile also boast high dynamics and low fuel consumption. Powered by a BMW TwinPower Turbo inline 4-cylinder 2-litre petrol engine, the engine in the all-new BMW 730Li delivers a powerful 258 hp and accelerates with 400 Nm from 0 to 100 km/h in just 6.3 seconds. The fuel consumption reading of the all-new BMW 730Li stands at 5.8 litres per 100 kilometre while C02 emissions level stand at 134 grams per kilometre. Beyond new BMW TwinPower Turbo engine offering, the all-new BMW 7 Series also comprises of intelligent lightweight design and benefits from a completely new chassis with air suspension and new, highly advanced chassis control systems. To begin with, at the centre of the all-new BMW 7 Series is a body structure with Carbon Core, a product of the transfer of technology from the development of BMW i cars. As part of the BMW EfficientLightweight concept, the all-new BMW 7 Series is the first car in its segment to have Carbon-Fibre-Reinforced Plastic (CFRP), in addition to its intelligent mix of aluminium and high-strength steel components as well as its use of magnesium. The significant weight reduction combined with fuel-efficient engines, optimised use of materials, a large proportion of secondary aluminium and thermoplastics as well as greater use of regenerative electricity during production, has all resulted in a quarter less C02 emissions over the car’s life cycle. Further to that is a highly sophisticated, precision-honed chassis technology which gives the all-new BMW 7 Series both sharper driving dynamics and superior ride comfort. 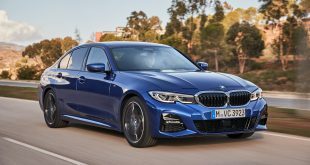 This is due to a range of factors, including sensitive steering with reduced steering effort as well as chassis fine-tuning expertise from BMW engineers. These high-tech components are further complemented by a self-levelling two-axle air suspension with Dynamic Damper Control which is featured as a standard for the first time. This provides the all-new BMW 7 Series with a highly comfortable and supremely agile driving experience by means of air suspension. For example, at speeds of 120 km/h and above, the body of the car is lowered by 10 millimetres to enhance aerodynamics whereas ground clearance can be increased by 20 millimetres while driving at speeds up to 35 km/h. In addition to that is the newly redesigned Driving Experience Control switch located on the centre console. The COMFORT, SPORT, ECO PRO and for the first time, ADAPTIVE modes can all be activated directly at the push of a button. When the ADAPTIVE mode setting is activated, the vehicle set-up is matched to the current driving style and changing route profile in adaptive, clearly perceptible fashion. Depending on the driving situation, the powertrain and chassis systems are configured for either sporty or comfortable performance. The levels of comfort, dynamism and effortlessly superior performance can be elevated further still with another world-first debuting in the all-new BMW 7 Series: Executive Drive Pro. This active chassis control, which is available in the all-new BMW 740Li, works in unison with the 2-axle air suspension and the Dynamic Damper Control to achieve a remarkable standard of suspension, damping and vibration comfort. For the first time too, active roll stabilisation is carried out electromechanically, allowing the body roll forces to be equalised particularly swiftly and precisely when taking bends at speed. Innovative flair and a creative spirit turn driving and travelling in the all-new BMW 7 Series into a truly inspirational experience. The arrival of the latest generation of the BMW flagship model takes interior design, functionality and passenger well-being to yet greater heights. As a start, drivers can expect a whole new operating experience in the all-new BMW 7 Series, including a new steering wheel, new gear selector, new digital instrument cluster, new iDrive menu structure and screen layout, and most importantly, a new, extended iDrive operating concept. In addition to the classic operation via the iDrive Controller and a modified voice control system, it contains two new options for making vehicle operation more intuitive as well as easier and safer. The first is a Touch Display for the on-board monitor, which features a 10.25-inch anti-dazzle, high-resolution monitor. With that, the all-new BMW 7 Series for the first time can be operated like a smartphone or a tablet by simply tapping the desired function on the display. The second is the world-beating BMW gesture control, an advanced new way of operating a vehicle. Also a first for production cars, drivers can access certain vehicle functions such as playback volume, accepting or refusing telephone calls by moving a finger or a hand. This functions via a 3D infrared camera placed in the vicinity of the front cabin light which scans the hand and recognises its motions. The exclusive atmosphere inside the all-new BMW 7 Series is further accentuated with the optional Ambient Light design which also includes a Welcome Light Carpet for the area in front of the car doors. Adding to this is a choice of six different colour variants for lighting effects which are dimmable, and is operated and selected via the iDrive menu. Moving towards the rear of the all-new BMW 7 Series, passengers will experience how the car was designed with special emphasis on a luxurious design for the rear seat area. This includes Automatic air conditioning with 4-zone control and electrically adjustable comfort rear seats with a massage function which includes the Vitality Programme. This allows rear seat passengers to engage in up to eight different settings of active physical exercise for recuperation purposes. Further to that is the BMW Touch Command control unit located in the rear centre console – another innovation for the luxury class. As the first removable 7-inch tablet that is connected to the vehicle systems, passengers are able to access all comfort and entertainment functions. To provide an even more luxurious and generous sense of space for the rear seat passengers, BMW has developed yet another world-beating innovation – the panaromic Sky Lounge glass roof. This new feature includes an electric roller sunblind, a slide and tilt function for cabin ventilation and, as a new feature, an unprecedented LED-based lighting installation comprised of over 15,000 lighting elements in the glass of the panoramic roof. Indeed, rear passengers can enjoy a light-flooded cabin in the day and an impressive lighting installation at night. 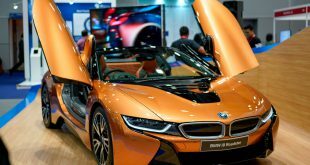 BMW Display Key, another world-first in the luxury segment is a key that displays various status data for the vehicle and enables operation of selected functions via the integrated Touch Display. Drivers can check the fill level of the fuel tank, the current vehicle range, the status of the central locking system, windows and glass roof, service prompts and the time of day, as well as activate the air conditioning and ventilation system within the vehicle. Driving Assistant Plus expands the existing feature set for the all-new BMW 7 Series to include a steering and directional control assistant, a Lane Departure Warning Assistant with active side collision protection which detects vehicles in neighbouring lanes, rear collision prevention and cross-traffic warning at the front. The system now operates on all roads and at speeds of up to 210 km/h. BMW Head-Up Display is now more advanced than ever. The display area is around 70 per cent larger and now includes various additional functions including a 3D view of intersections. The display is also crisper than ever, for an unprecendented level of graphics quality. 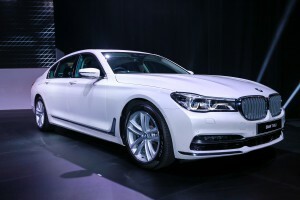 The all-new BMW 7 Series also features other BMW ConnectedDrive features including Intelligent Emergency Call which automatically and quickly sends for help in an accident; Concierge Services which connects the driver to a BMW Call Centre who acts as their “personal assistant” on the road, as well as Remote Services which allow drivers to transform their smartphones into an intelligent and convenient remote control for their vehicle via the MY Remote app. The all-new BMW 740Li is available in Black Sapphire, Cashmere Silver, Mineral White, Sophisto Grey and Imperial Blue with a range of Leather Nappa upholstery colour choices including Black, Canberra Beige, and Cognac. The all-new BMW 730Li meanwhile is available in Black Sapphire, Cashmere Silver, Mineral White, Sophisto Grey and Jatoba. The range of Leather Dakota upholstery colour choices include Black, Canberra Beige and Cognac.